Have you ever been to a gallery and felt as though the reception almost didn’t want you there or could care less that you entered the room? Even in Japan, a country known for it’s outstanding customer service, some places can still hold their noses in the air a bit when it comes to big art in a small space. Maybe it’s my foreign face that frightens the staff working in some galleries here to go back into the storeroom or look busy? I don’t know. Actually, I take that back. I have had very friendly experiences in and out of Japan from helpful staff or artists who are very grateful to know their work is appreciated. Especially in parks, cafes, some more local/down-to-earth galleries and people doing joint exhibitions around Tokyo. I even remember a few free alcohol occasions! I think it must be the sterility of some of the bigger name galleries that gets to me sometimes and I think that sterility makes them come off as inhospitable or cold. So despite my slight frustration at times I love many Tokyo galleries. Many of them are very impressive and open to new artists, but usually come at a hefty price. Young photographers and artists could always use more places to show their work at a price and a location that won’t make them think Ginza is actually made of silver, and fortunately some places have been popping up lately. Ginza may be known for it’s pricy shops and exclusive, but very attractive, galleries. But if you want to get a good taste of what Tokyo really has to offer, you may be in for quite a hike. Galleries are rather spread out around Tokyo, especially photo galleries. You can wander for ages and it’s hard to hit too many in one day. If you’re a gallery savvy visitor to Tokyo, but you’re not sure where you’re going, this can easily turn a day of casual gallery hopping into a frustrating day of hitting up police boxes fumbling over a tiny map and talking to policemen who think you’re trying to find the nearest place to develop your film. If you want to take a weekend afternoon to hit one of the best off-the-beaten-path photo spaces while you’re here, one that greets you with a smile, talks with you like you’re an old friend and maybe even stuffs a few extra post cards in your pocket as you’re leaving you should definitely try to find gallery KAIDO. I’ll try and give you a little help getting there, for while it’s not the easiest gallery to find, it’s definitely worth the trek. First, take the Tokyo Metro Marunouchi Line (subway) to Minami-Asagaya station. (You can also take the JR Chuo Line to the area, but the Marunouchi Line is more convenient). 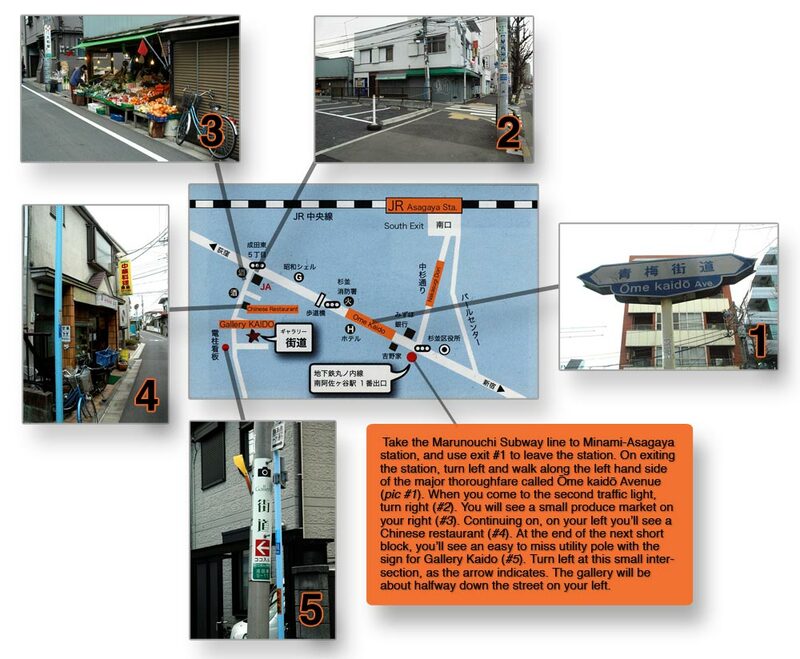 It’s only a few minutes from Shinjuku by train or subway. 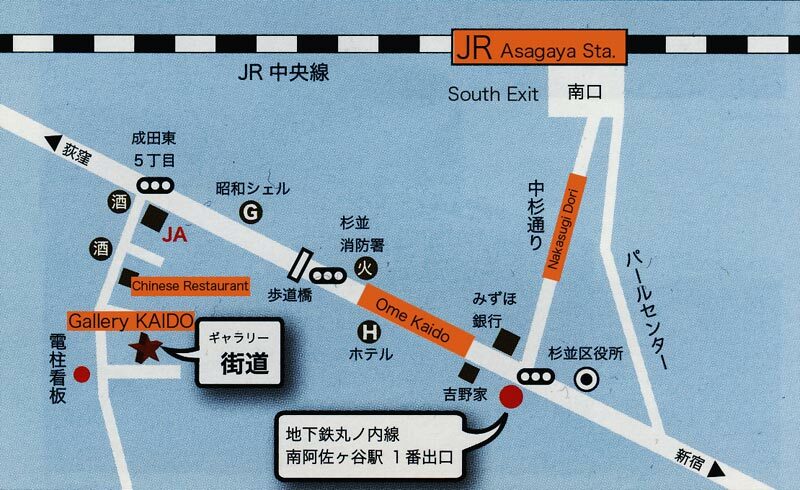 When you get there look for or ask how to find Ome Kaido (Ome Avenue). 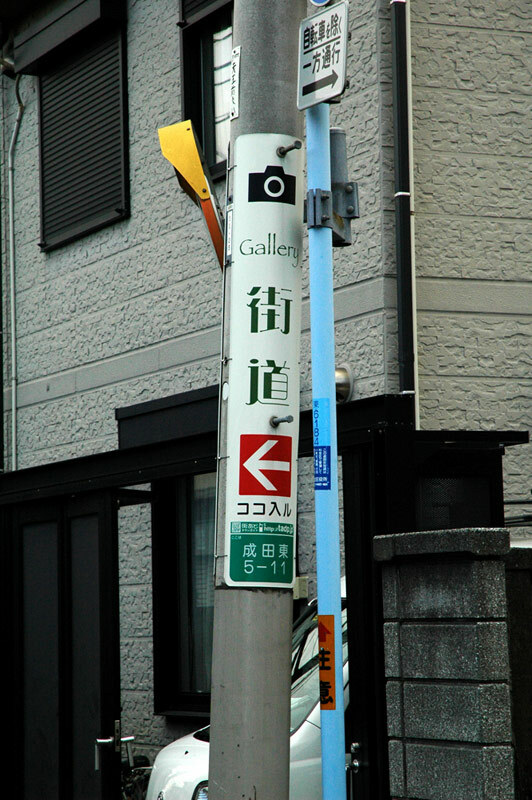 Gallery KAIDO is only a few minutes walk off the side streets near Ome Kaido. Ome is a busy road that starts from way-out-west Tokyo and ends around Shinjuku and is actually the inspiration behind the gallery’s name itself. I was surprised I remembered how to get there without the use of a map the second time I visited. The map makes it look somewhat simple, but amongst the many turns, the never ending rows of houses and the narrow paths they call “streets” here, things can look quite similar. I took a few shots of some landmarks along the way to help you find the right corners, along with a scan of the gallery’s flyer map with some translated English. 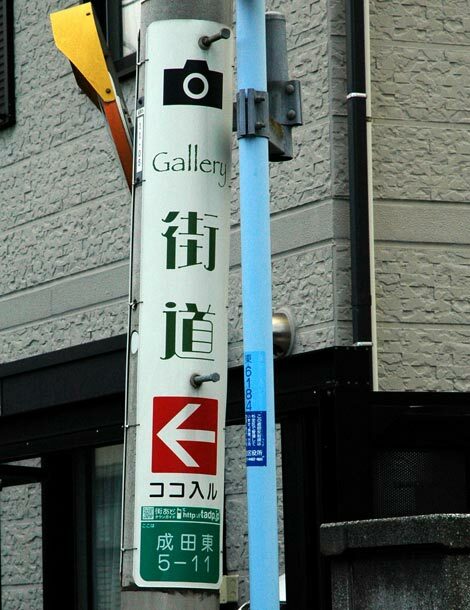 Once you’re in the vicinity, the gate of gallery KAIDO is the next challenge. You’ll see a sign on a utility pole telling you to make a left. But then you’re stuck guessing where to go next, because you’ve turned into a dead end. If you live in Tokyo, it could very well be exactly what your apartment entrance looks like and there isn’t really much more than a small sign on the gate. It’s on the left side, about half why down the dead end. From this point, walk up the steep, steel steps, take off your shoes in the entryway and… it sounds like home already, doesn’t it? As I mentioned before, you’ll probably be greeted with a smile and the curiosity of an old style Japanese inn owner welcoming a weary guest. If you’re not the shy type and you show enough interest and have some time, you may even be offered a cup of tea. It seems a bit like you’re walking through someone’s apartment and you keep expecting someone to come walking out of a room wearing a bathrobe and slippers! It feels old, but warm and real. It’s basically two bedrooms of photos with some closed rooms I only assumed were workshop space or possibly a darkroom. One of the rooms, which was apparently the old kitchen, is now the gallery gift shop. Fifteen years ago Onaka-san had a gallery in Nishi-Shinjuku, which he also called KAIDO near the same Ome Avenue. That has since closed. Several years ago, Onaka-san and his wife Yuko, who runs the gallery gift shop, started looking for a new space not so near the bustling Shinjuku area. After a thorough internet apartment search, they came across the current KAIDO in Asagaya which also happened to be near Ome Avenue. His original intention for the Asagaya gallery KAIDO was unclear for him at first, but he mainly intended to show his work there, and use the extra rooms as darkroom work space and Yuko could even use the space for some of her own interests. But recently, he’s converted it into a full-fledged gallery, welcoming his students to show their own work there for several weeks at a time. His “students” are actually attendees of his weekly workshops he holds at Kaido and random places around Tokyo and Japan. 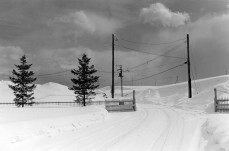 [Japan Exposures Cover Artist Sachiko Kadoi is a past workshop participant. 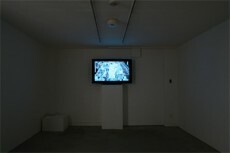 — ed] Each week Onaka offers advice to workshop participants and gives critiques of their work. (Workshop info and exhibition schedules, as well as pictures of past critique sessions, can be seen at the workshop’s blog — Japanese only). The most recent works on display (from March 20th-29th) in KAIDO’s tiny rooms when I visited were a small series of black and white images by the young Tatsuhiro Nakahara entitled Machi-Nagara (While Waiting), all of which were taken in his hometown of Hiroshima near his father’s farm. In the “PIN-UP Gallery” a playful color series called “empty, but” from Miki Iwaoka of Yokohama residents. Also a set of about 12 images from Onaka-san himself, all printed in Onaka-san’s wonderful signature mundane, smoky-grey style and taken between 1994-1999 in Hakodate, Hokkaido. Some past exhibitions included works by Tomomi Matsutani, Takeshi Dodo, and Shuhei Motoyama. I found KAIDO a great place to see some straight-forward, down-to-earth images from some photographers who seem to love Japan and aren’t afraid to show it like it is. It’s kind of what I’d expect from a Japanese gallery in some ways after living in Japan for many years myself. It’s not exactly Ginza, but hey, Ginza’s just a dressed-up place made of silver and it’s too crowded anyway. So, on top of the fact that gallery KAIDO provides that real, or even gritty Japanese art experience in a somewhat surreal Tokyo atmosphere, you also can rest assured that you’ll be welcomed back. KAIDO is open Friday, Saturday and Sunday from 1pm-7pm. Tyler Ensrude grew up on the plains of rural Wisconsin in the United States and has lived in Tokyo since 2002. He has a degree in photography and graphic design from the University of Wisconsin and is a contributing writer and photographer for several publications in and outside Japan. 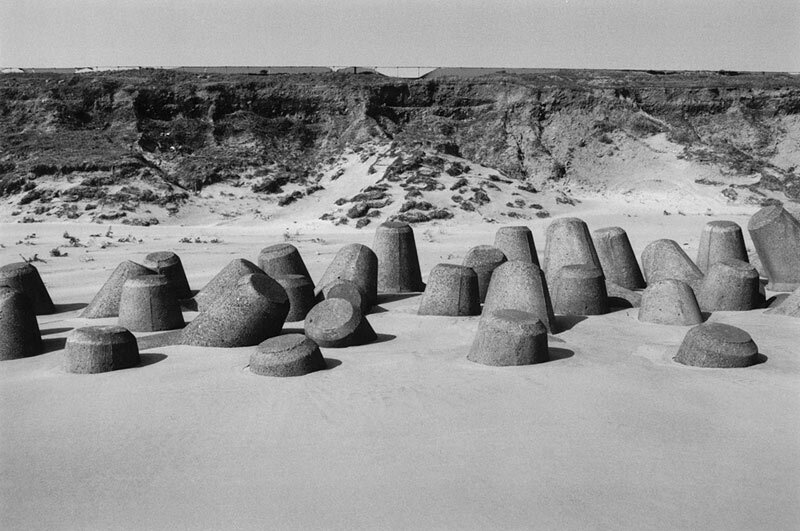 His current projects include research on foreign photography within Japan as well as Japanese photography, photography books, culture and music. He can be found online at www.tylerensrude.com and www.tylerensrude29.blogspot.com. Sachiko Kadoi was born in 1963 in Tokyo, and studied graphic design at Tama University of Art (Tokyo) from 1982-1986. She has been actively pursuing photography since 2003, and her first book Kadoi Sachiko: Photographs 2003-2008 was published in the Fall of 2008 by Sokyusha. Here she talks to Japan Exposures about how she came to adopt photography as her means of expression, the importance of photographers as different as Michael Kenna and Koji Onaka in setting her on her creative path, and her thoughts about the man-made landscapes that comprise the dominant theme of her work. 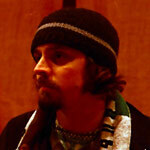 The interview was conducted during the last week of December, 2008. In addition to the photographs that accompany this interview, please see our special Sachiko Kadoi gallery. 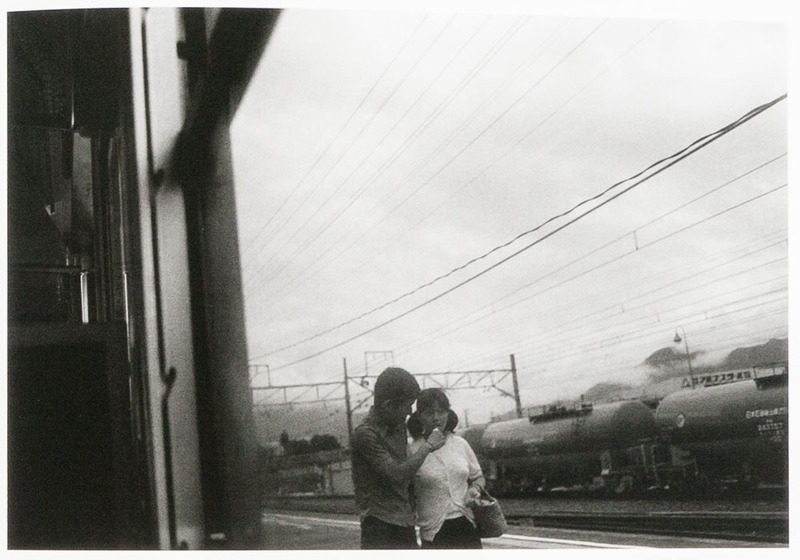 Japan Exposures: When did you first become interested in photography, in taking pictures? Sachiko Kadoi: When I was 11, my father bought for me and my sister an easy-to-use half-frame compact camera for me to take with me on a school trip. This was the first time I took photos. Bringing a camera along on school trips is quite a common thing to do in Japan, but I was happy to handle the camera, and remember that it was interesting to take my own photos. It was when I was in college and bought myself a camera that I began to be more seriously interested in photography and in taking photos. JE: You attended Tama University of Art in Tokyo, is that right? SK: Yes, that’s right. I was interested in art from a young age. There were art books and catalogs of various exhibitions that my grandfather, who was a painter, bought into the house. I often looked at these and I also used to go to museums in my junior high school and high school days, and thought that I wanted to be a painter in the future. But we lived in a small house, my parents, my older sister and I, and my grandparents, and I didn’t even have my own room, and so to go to art college was not easy. It was like the movie “Billy Elliot” [laughs]. I felt I needed to be independent from my parents after graduating from college, but it seemed impossible to be able to survive as a painter. So I entered the Graphic Design department at Tama University of Art. However, I came to feel that the advertising world was not a place I could be comfortable in, and ultimately, I felt that I wouldn’t be able to be happy doing that kind of work. Thankfully, there was a photography class offered in the design department. I was interested in working in the darkroom, so it was a lot of fun. 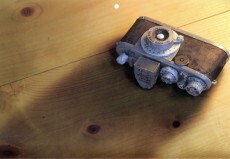 At that time, I bought a Canon 35mm camera. I still have it, and have used it without trouble for 20 years. I learned how to print black and white, as well as various other techniques little by little, such as toning prints, making photograms, solarization, etc. At any rate, I liked taking photographs. 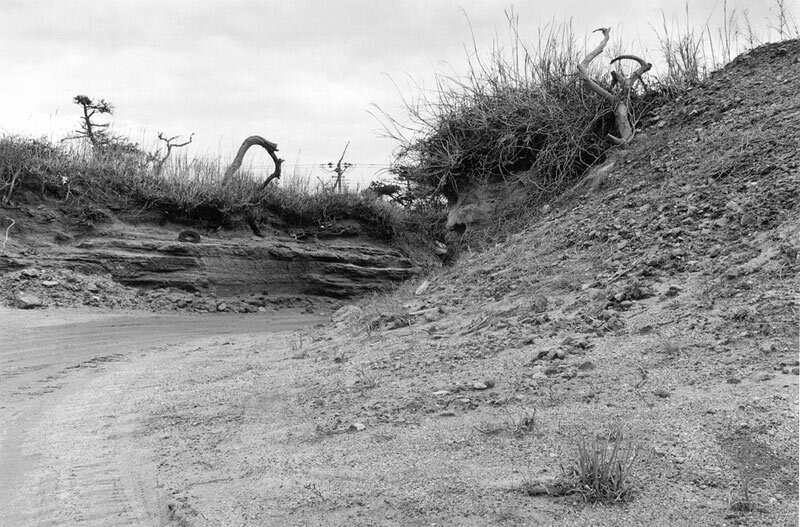 I preferred to take pictures more than looking at another photographers’ work. I didn’t look at photo books or go to photo galleries that much, compared to now. After graduating I liked to travel on my own, both within Japan and overseas, taking pictures as a way of enjoying myself. JE: What did you do to support yourself after graduating? SK: Rather than entering a design company after graduation, I did freelance work in the book publishing field. Mainly book design, but other various things related to books as well, such as editing, making objects for craft-making books for children, illustration, and so on. The books were mostly about natural science and geared towards children from kindergarten to primary school age, or books about practical skills and child-care counseling for child-care professionals. The work was really hard, there was a year I couldn’t have any holidays at all. During this time, I continued to hold on to the desire to do my own artwork, not photography but drawing or painting, but it just wasn’t possible because of my work load. JE: When did you begin to consider photography as a creative outlet? SK: Well, I often worked with commercial photographers in the studio and on location, and I learned about book editing work in an editorial agency that had a stock agency attached to it, where we would get stock photographs mainly related to natural science for the books. So photography was always a part of my freelance work, but I began to consider photography as a creative outlet after I went to Koji Onaka’s workshop in 2003. JE: How did your participation in that workshop come about? SK: There were actually a lot of things that happened in 2003 to make that year a turning point for me. There was a retrospective exhibition of Michael Kenna’s work in Tokyo, and I attended a slide show and talk that he gave. He talked about exposing one of his photos from his Ratcliffe Power Station series for eight hours. [Kadoi remembers it being Kenna’s “Study 31” from this series. – ed] Of course I knew that he used long exposures to make those photographs, but I was very surprised to hear it was eight hours! I looked at those photos again after that talk, thinking about a camera that looked at a power station in the quiet of the night and that there were eight hours captured on this paper, and I began to look at photography in a new way. I had the feeling that a photograph was not the flow of time and space passing before my eyes that the camera captured, as a mere tool, but rather that a photograph was the flow of time and space passing before the camera, as if it was like a living thing, with its own personality, and that I captured what it was looking at. At that moment, I had the strong desire to take photographs. Although this urge was a bit strange, seeing as I had been taking photographs for 20 years. And then that summer I participated in Koji Onaka’s photography workshop held at the Yokohama Museum of Art. About 10 years ago a friend of mine who was into looking at photographs, knowing that I liked to travel by myself to various places, taking photos, asked me to go along with him to an exhibition of Onaka’s. He probably thought Onaka-san’s work would be good for me to study. I still remember seeing works of his shown in Ebisu that had been printed large onto rolls of paper. JE: Could you tell us more about Onaka’s workshop, and what you learned from him? SK: I think the most important thing that I got from the workshop was that it gave me the intention to exhibit my photos as a photographer. It was not only about my strong feelings towards art, but also that up until this time, because of my freelance work, I had had the idea that a person called “photographer” was someone who did commercial photography. So I hadn’t yet hit upon the idea that I could exhibit my own work. Onaka-san talked to us about photography’s “時代性” (jidaisei) by which he meant a photograph’s ability to record the time period in which it was taken. According to Onaka-san, it is because of this ability that photographs derive their power. He also talked about “interestingness” captured in photographs. At this time, he was negative about even taking pictures in foreign countries because we didn’t know its jidaisei. He talked about the importance of being genuine when taking photos of subject matter with a strong character. That is his methodology for taking photos, and that is why his photos are good. However, if I followed his way, it was only occasionally that I could produce work with a similar feel. His workshop was a good opportunity for me to think about my own photos, question what it was I wanted to do, what I had been doing up to that point, and what I should be doing going forward, and so on. As a result, I ended up ignoring Onaka-san’s words to “take more pictures of towns”. [laughs] More and more I came to take photographs of simple scenes and places. So, I guess that in doing nothing but the opposite of what he talked about, I was not a good student. 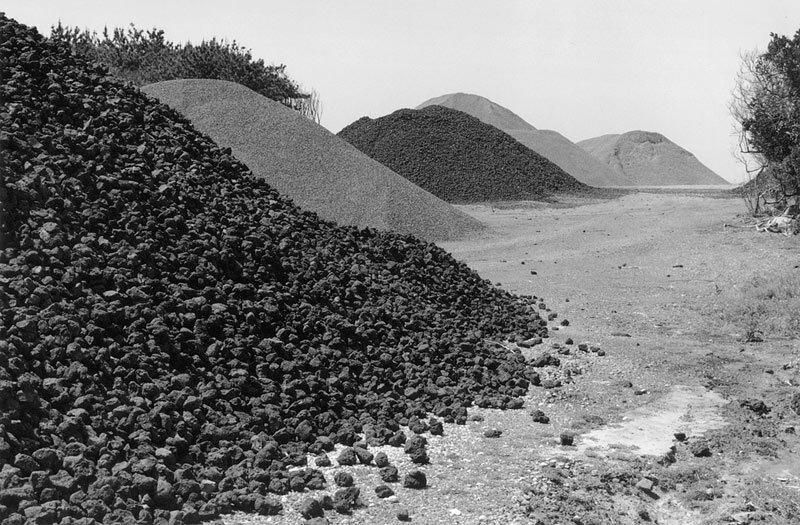 [laughs] The series of photographs of the gravel mountains in the latter half of my book [Kadoi Sachiko: Photographs 2003-2008] came from such a background. Anyway, I was still working very hard to support myself, but I was also becoming crazy about photography. Even when I finished my work at 2 o’clock in the morning, I would then look at my contact sheets for over an hour. 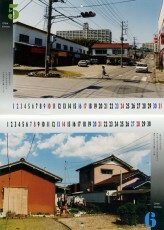 JE: Speaking of your book from Sokyusha, it carries the subtitle “Photographs, 2003-2008”. That makes me think this book is a “collection” of your work from the last 5 years, rather than a single project that took 5 years to photograph. How do you think of this book? SK: Actually, I want my next book to be a single project. But I wanted to make this book first. However, rather than a collection of individual images taken over the last five years, I think the photographs have been selected and edited together to become something with a unified feel. I feel that Ota Michitaka-san has done a great job taking a number of my projects and shuffling them around. At first I showed him the postscript I had written and conveyed to him my thought process behind the taking of the photos. JE: The book does seem to me to be very well edited. What was the working process with Ota? SK: At first I handed him the photos which I had selected, and about a week later he presented the first draft, and then I gave him my opinion. Every time Ota-san shifted the photos around, I would make a mock-up and he would check the sequencing again. He would suggest what photographs he thought would work the best in the sequencing, and then I would look at the contact sheets again, and print more photos as well. The inclusion in the book of photos from the “gravel mountain” series was a result of this process. We worked on this from the middle of July until October (2008). It was very tough work because of the short time span. JE: There are only a few photographs in the book that have any people in them, but on the other hand, it seems that almost everything we seen in the photographs comes from man, is man-made. Can you tell us more about your approach to landscapes and what attracts you to a scene? SK: Although I am walking around places where I rarely encounter people, I’m thinking that I want to take pictures of people. But this thought to take photos of “man” doesn’t mean that I want to take pictures of, say, the elderly that I sometimes pass by on my walks. Japan is a small country, and because of this we can see a direct relationship between people and nature or the land everywhere we go. I’m not particularly thinking in a conscious way that “this object has a relationship with man”, but it seems that the scenes in front of me that I want to take are essentially always those kind of scenes. I don’t think that man and nature are opposing concepts, and therefore I don’t want to take photographs from such a point of view. While there is a clamor against environmental destruction nowadays, when I look at the landscapes on islands or sand dunes, etc., I find that man’s existence is small and that I am overwhelmed by the immense power of this other thing, that is nature or what some people might call “God”. The important thing for me is that, as opposed to ruins which are of “the past”, the subjects I want to take photographs of most of all show man’s existence, and are things still in operation. JE: These are not what many people would consider beautiful places. SK: Daniel Stifler, who translated the postscript of my book into English, told me that the subjects of my photographs are perhaps not beautiful in a traditional sense, but that he felt I was able to find beauty in them, and that there is both space and silence. I was told similar things by some Japanese people, such as “I like your work because there is a space I can participate in”. I was very happy to hear that. JE: How often do you photograph? Are you a photographer who is always shooting pictures, or are you a person who works more on a project by project basis? SK: I think a bit of both, but I don’t have the feeling that I am always taking pictures. But that doesn’t mean that I take pictures by seeking out beforehand potential locations to shoot in, according to some theme or another. I think encountering the landscapes just by walking and walking is important for me. When I’m out shooting, I don’t take photos or not take photos to fit some theme. JE: Can I ask you about the camera(s) you use and whether or not equipment is important to you? SK: I shoot in 35mm and sometimes use a Mamiya 645 camera. I think the camera – or rather, the lens – is important, but I am not a camera otaku. My camera is not so bad, but I am thinking I want another one. I received a 6 x 9 format camera last year, so I am looking forward to taking photos with that. It is often said about me that I like to take photos unhurriedly, but I take photos as if I’m taking snapshots, and shoot quickly. I don’t vacillate about composition, and those times when I look through the viewfinder and can’t decide on a composition, I don’t take the photograph. I don’t use a tripod except in dark situations – it seems to change the photograph if I use one. 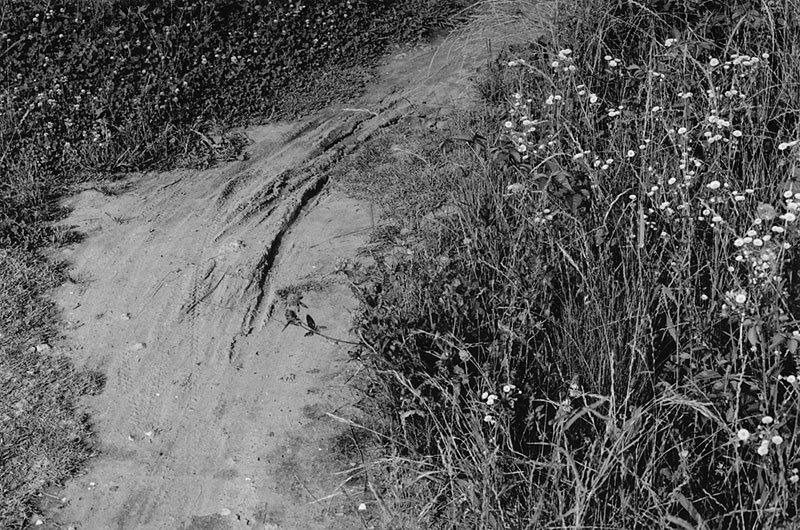 As for film, I used to like XP2, but I use Tmax 400 developed in XTOL now. I process and print my own work at home. JE: What are you working on now? 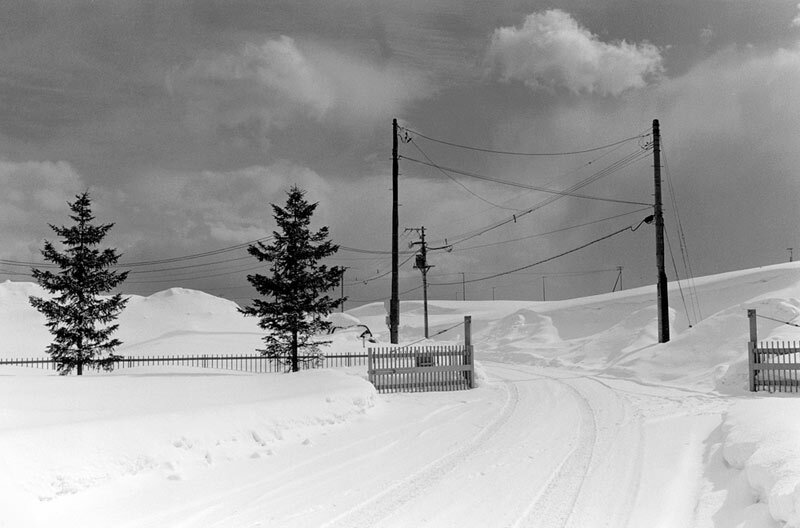 SK: The photographs that are in my new book are several projects that continues now. 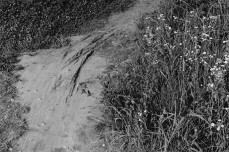 The series of gravel mountain in particular I want to spend more time continuing to photograph, and would like to publish it sometime in the future. There are lots of different photos I have taken from this series, so I am thinking about what kind of things I can do with those photos for a photo book. I started taking photographs in parks when I was in Onaka-san’s workshop, and some of these are in the book, but I stopped taking them after that. I would like to pick that back up again. 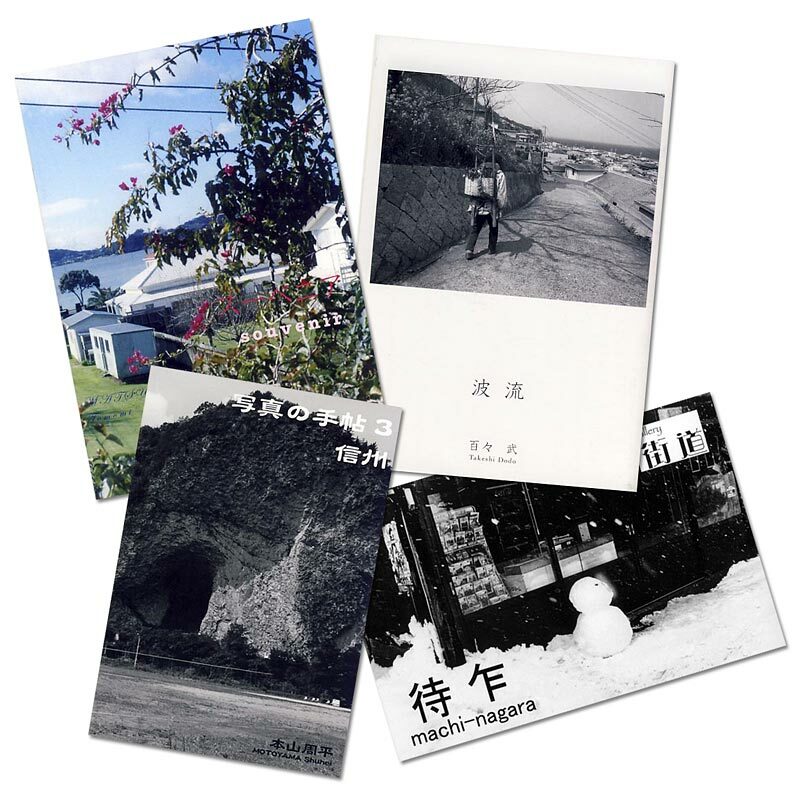 Additionally, as a new experiment, I’m making small prints of photos taken in Tokyo’s old town, which I have at an arts and crafts store called “Fukugawa Ippuku” near the Museum of Contemporary Art Tokyo, and which I add to each month. These will be snapshots taken in the older districts in the eastern part of Tokyo, what we call “shitamachi”, around my hometown. And lastly, it is not landscapes, but I have a project that I have been wanting to do since I began to have exhibitions of my work held. This is still at a trial stage, so I cannot talk a lot about it, but it involves photographing the movement of the body. I don’t know if I can succeed in that project or not. Anyway, I need a lot of time for all these projects! This being the New Year’s holiday season in Japan, the bookstores seem to have been taken over by large displays of every manner of 2009 calendars. Although there are a few tastefully designed ones, as well the old Hokusai and Hiroshige standbys, there are also disturbingly large amounts of “Lighthouses of New England” types as well. The current crop of photo magazines also have 2009 calendars bundled together with them, but sadly these are hardly an improvement. This month’s Asahi Camera comes with a 2009 calendar full of cat photos that stretches the bounds of decent taste, in this person’s humble opinion (and I’m a cat lover, so no flames please!). PHAT’s calendar features 12 picture postcard images from Bora Bora that does neither getaway islands nor calendars any favors. 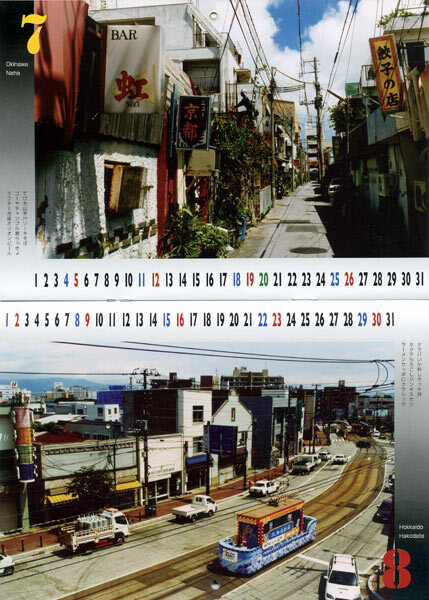 Fortunately, Nippon Camera comes to the rescue with a calendar any true photography lover would love to have on their walls. 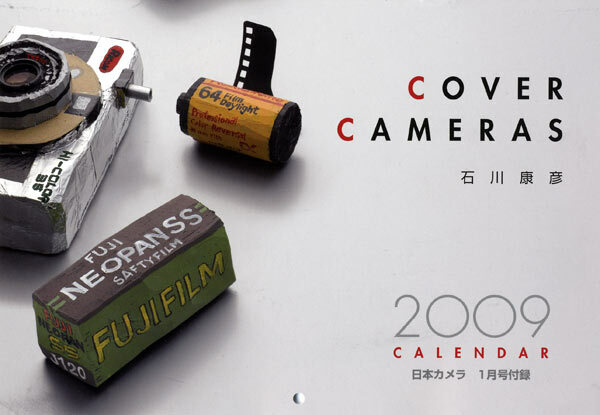 They call it “Cover Cameras” and it is the literal handiwork of Yasuhiko Ishikawa. Each month a different camera is featured, including a Leica If for January, a couple of Bosley B2’s for April, and a Hasselblad SWC for December. Digital cameras are represented too. 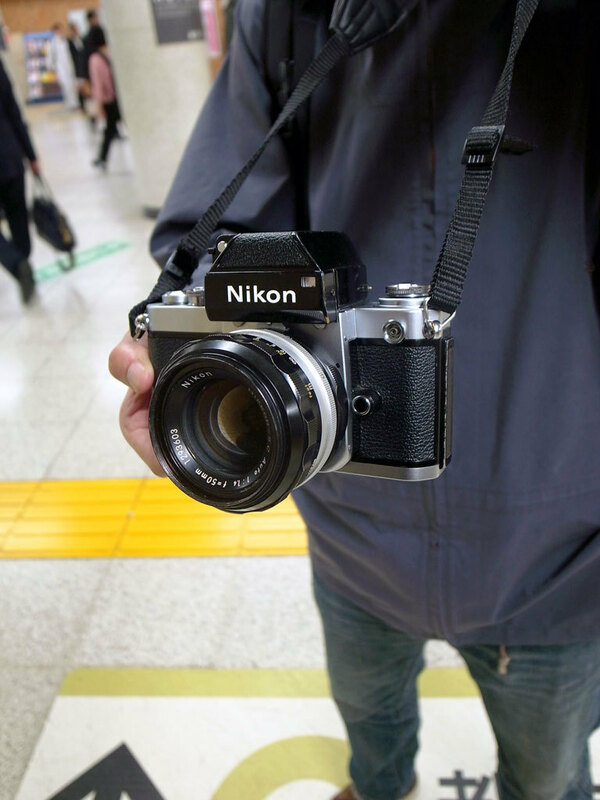 As I have alluded to and the pictures included here perhaps give away, these are not pictures of the cameras themselves, but rather pictures of cameras Ishikawa has made with a variety of cheap materials and modeled on their “real” counterparts. 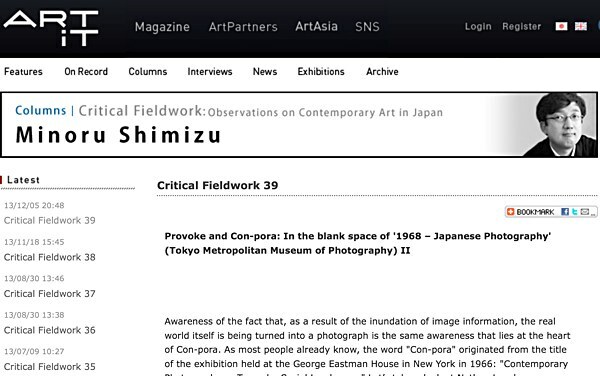 Each mock camera is accompanied by some text by Ishikawa, who divides his writing equally between venerating the real camera and discussing how he made the particular model on display, how much the materials cost (very cheap, in most instances). My favorite of the bunch, shown in the extended slide show, is a Casio Exilim Pro Ex-F1 that features a body made from a cross section of a law book Ishikawa picked up for a dollar and change at a used bookstore. 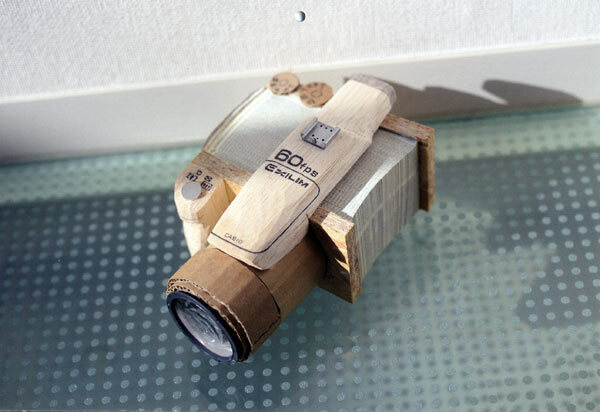 Ishikawa is a designer doing both graphic and product design — his flash-based website provides ample samples (though sadly none of these hand-made cameras). As if these cameras weren’t enough evidence, the way he writes about his “cameras” reveal a quirkiness that’s quite endearing. 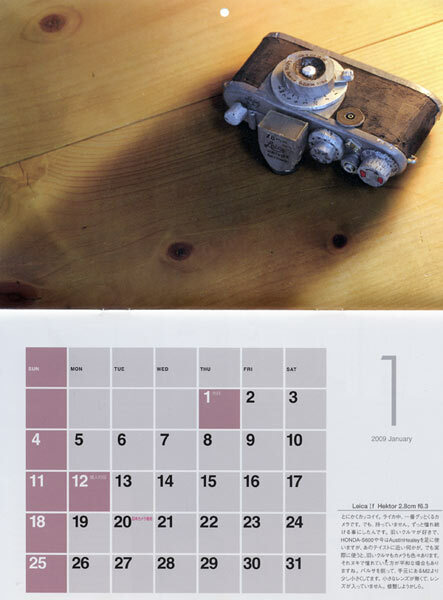 Another cool calendar choice for the photography lover is also from someone known for a certain quirkiness, not to mention a dry humor: photographer Koji Onaka. 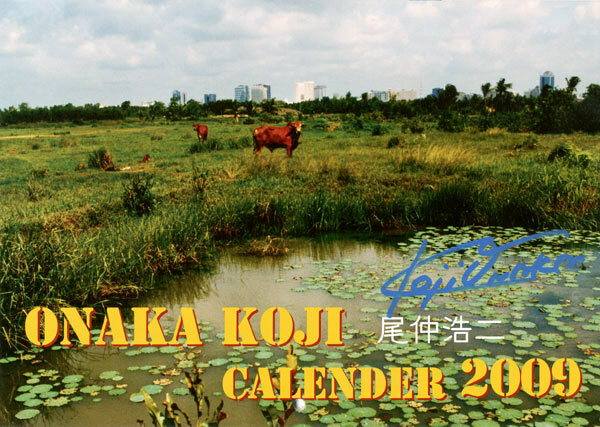 For this 2009 calendar, which is signed by Onaka and available in very limited quantities, Onaka has assembled a total of 14 landscapes/cityscapes done in his customary, high-contrast style. The front and back covers feature photos from Mexico and Viet Nam, but the interior photos for each month are from different parts of Japan, including a couple from Kimitsu in Chiba where he grew up. (See photo to the right.) The pictures have some tangible connection to the months (a snowy scene for February, cherry blossom petals on the ground for April), as well as some much looser connections like his photo from the town of Obama in Fukui Prefecture for November (the town featured in a lot of silly news stories this year for obvious reasons). Included is a 6-day excerpt from his travel diary, although this, like his typically understated captions for each photo, is only in Japanese. 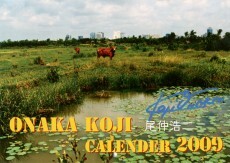 Click the top image to bring up a gallery of larger images from these calendars. If you are interested in obtaining either of these, please get in touch with us using the form on the services page, but do it quick!